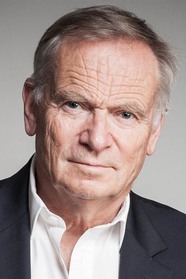 Jeffrey Archer discusses The Clifton Chronicles. Video courtesy of Pan Macmillan UK. Gripping short stories from master storyteller and #1 New York Times bestseller Jeffrey Archer. International bestselling author Jeffrey Archer's mesmerizing saga of the Clifton and Barrington families continues. Previously published in the anthology Cat O'Nine Tales, this is the story of a star athlete who has a fateful run-in with a three-hundred pound woman. Following up his most successful novel in ten years, international bestselling author Jeffrey Archer delivers the sweeping story of a legendary man. Can FBI Special Agent Mark Andrews save the first woman president in America and unravel a ruthless conspiracy—in less than one week? "The very name of ‘Judas' raises among Christians an instinctive reaction of criticism and condemnation…The betrayal of Judas remains…a mystery." Why was an elegant lady BRUTALLY MURDERED the night before 9/11? Why was a successful New York banker not surprised to receive A WOMAN'S LEFT EAR in the mail?